Carrots are very good for eyes. Add them into your food. You can eat carrots in raw form also after washing them thoroughly. Vitamin A, C, E are beneficial for eye health. Consume carrot, apple and grapes for your healthy eyes. Do exercise for eyes. There are many easy yogic exercises which you can do daily. Put 2 almonds into water before going to bed, eat them in morning before breakfast and without peeling them. Eat always healthy and vegetarian food. Drink milk daily and eat fruits and vegetables. They are very good source of vitamins. Wash your eyes frequently at least twice a day with cold water. You can add 5 drops of rose water (Gulab Jal) as well. Have enough sleep however it may vary from person to person. 6 to 8 hours sleep is good for eyes. If you are going out during daytime, wear good quality sunglasses to protect your eyes from Ultraviolet (UV) rays. Keep reading material at least 30 cm away from your eyes. If you are suffering from any eye allergy, don’t sit in front of the Air Conditioner (AC). Have regular eye check up, if you are 55 years or older, get eye check up at least once in two years. Don’t read while you are in lying position. Sit straight and read. Never ever experiment on your eyes. If any problem persists for more than one or two days, immediately visit eye doctor. Avoid watching TV much, Don’t stare on TV. Keep distance at least 8 feet from TV. During commercials just close your eyes and give relax to eyes. Keep TV Screen at the eye level. Don’t work on computer for many hours in a stretch. Have a small 2 mins break after each hour. Do not read in dim light, it causes eye strain. Don’t see any bright object with naked eyes especially sun. There is no harm to see sun when it is either rising or setting. Never ignore your eyes. 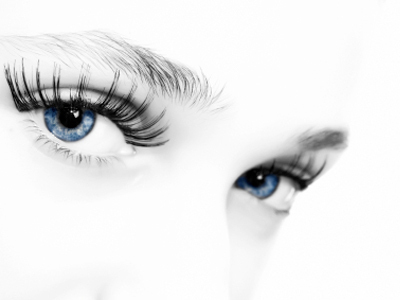 Eyes are said to be "Window of the Soul". Include them in your health scheme. View the world with your healthy eyes. Eyes are one of the most wonderful gift given to us, so we should take care of the eyes while were young and this tips can really help me maintain my vision wide and clear with the help of Manhattan eye doctors, thanks for this post Kumaresh! I do taking care of my eyes, Eyes are really important. It makes us see all things may it ugly or pretty. Eye doctors East Side NY is really very helpful for me. Thank for your informative post, hope this will helped today youngster. I usually went to Malaya Optical to maintain my vision. Hi! just would like to inform that, Malaya Optical is now celebrating 57th years anniversary, you may go for free check up, and if you guys are interested on Branded Sunglasses, Sports Eye Wear, Branded Frames, Transition Lenses, Progressive Lenses, Digital Lenses, may taking this first consideration, because almost all the items discount is up to 70%! I just bought an Airlock sunglasses at Malaya Optical! It's cheap! after discount, just RM80+! Yes, preventing is better than cure..... Especially for our eye care. Recently studies have shown that blue light (or high energy visible light) potentially is toxic to the human eye. Parent should take care of their children, as young as 2 years of age now are often playing with tablets for hours. The proximity and the intensity of the blue light projected onto the delicate eyes of children is also therefore significant..... advice parent to take their children to nearest Optometrist Center for Eye Exam every years. Age-related macular degeneration (AMD) and cataract are the two most common and frequent eye issues found in aged people. These sight problems are considered to bring vision concerns and even loss of vision in some severe cases. Though such situations occur with ageing, there are several remedies to reverse the loss of vision. However, the treatment alternatives possible for improving your eyesight may vary depending upon the conditions behind the origin the vision loss.